These multimedia offerings are full of wisdom, light, and inspiration. Use them to find deeper harmony in your own life. Learn the art and science of yogic practices and texts. Sanskrit and English recitations with practical explanation. Full of energy. Recordings of sacred Sanskrit scriptures. 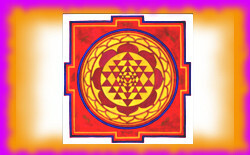 Enter the sadhu world with videos of Shree Maa and Swamiji. 24 hour broadcast from inside the Temple. 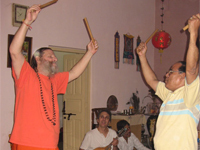 Tune in for classes, events, and daily pujas. On most weekday nights, Devi Mandir broadcasts live classes from the Temple. Shree Maa and Swamiji teach these classes using the Sanskrit scriptures that they have so lovingly translated over the years. This section contains all the videos from the current class series – perfect if you missed a day! Here you will find the universal and timeless wisdom of the Ancient Sanskrit literature translated and explained for modern day seekers. These video classes include Sanskrit recitations followed by English explanations of the meaning and application of the texts. Here you will find short video snippets taken from some of Swamiji’s satsangs. They include inspiring answers to spiritual and practical questions, wonderful stories and much more. 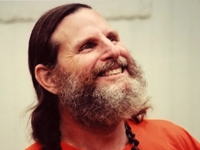 In these podcasts, Swami Satyananda Saraswati tells stories, gives teachings, and translates the meaning of the Sanskrit mantras of various scriptures. Learn the philosophy of the Bhagavad Gita, Guru Gita and more, as well as the meanings of specific stotrams and techniques of worship. 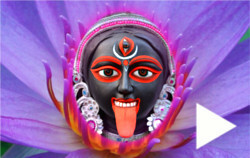 Listen to Shree Maa and Swami Satyananda Saraswati chant Sanskrit texts and mantras including Advanced Shiva Puja, Lalita Trishati, Rudrashtadhyayi, Hanuman Puja, and more. Use this section to learn the mantras, sooth your mind, and purify the atmosphere! Swamiji is a walking encyclopedia of Vedic philosophy; he is also filled with the energy, wisdom, and fun of Lord Shiva. These videos capture special moments in the life of our beloved Swamiji – wandering through the villages and mountains of India, telling stories in the Devi Mandir, and more. A short documentary, filmed by a devotee at the Devi Mandir. Shree Maa’s peace and compassion radiate through the screen. An entertaining and illuminating story, originally told by Ramakrishna, now told by our own Swamiji. Audio recording of Shree Maa and devotees chanting to Ganesha – the elephant-headed God who grants wisdom and removes obstacles. The 300 Sanskrit names of Divine Mother Lalita – the Playful Goddess – chanted by Swami Satyananda Saraswati.